I have over 30 years of professional experience in the entertainment industry which includes recording, performance, production and teaching around the world. I am also currently active in the music and film industry and consult for organizations such as Minnesota Public Radio, Video Games Live, and the American Federation of Musicians. I also enjoy teaching and recording music in my home studio. As a musician I started guitar and piano lessons at the age of eight. I received my Bachelor of Music degree majoring in Guitar Performance from Wichita State University. I went on to study guitar at Berklee College of Music in Boston where I completed my Diploma in guitar performance, composition and arranging. After attending Berklee I was awarded a full scholarship at the University of Southern California in Los Angeles. While at USC, I graduated with my Master's Degree in Studio Guitar with full honors. Additionally while in Los Angeles, I completed my Certification in music clearance and licensing from the Film Music Institute in Los Angeles. While at USC I taught undergraduate individual and class guitar students as well as guitar ensembles. After leaving USC I became the head of the commercial guitar department at California State University Dominguez Hills in the Los Angeles area. Along the way I picked up experience teaching and performing various other instruments including bass, and mandolin. While living in the Los Angeles area I gained an impressive list of recording and touring credits. The American Federation of Musicians of the United States and Canada is the largest organization in the world dedicated to representing the interests of professional musicians. AFM membership is more than 90,000 musicians. A personal quote from me... "You have all heard the tag 'the hardest working people in show business' Well...There are many people behind the scenes you'll never know about - the hard working people at the National and Local AFM offices plus Music Conferences, they move the industry! My gratitude to them all!" 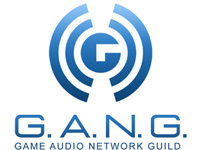 The Game Audio Network Guild (G.A.N.G.) is a non-profit organization established to educate the masses in regards to interactive audio by providing information, instruction, resources, guidance and enlightenment not only to its members, but to content providers and listeners throughout the world. Want to know more? Take a glance at video game music buddies Tommy Tallarico, Jack Wall and many others are creating in the game music universe and beyond. Live Video Game Music with Full Orchestras Around the World!! See the site for world-wide shows! An immersive event created by the game industry featuring the best game music performed by top orchestras and choirs combined with synchronized lighting, video, live action and audience interactivity. Concerts sold out in Paris, Tokyo, Brazil, China, Broadway and more!! Check out the cool trailer but also see more information, Video Games Live on PBS. →Just In!! 42 new shows added!! Find a concert near you. Minnesota Public Radio is one of the nation's premier public radio stations producing programming for radio, internet and face-to-face audiences. Check out ultra hip Radio Free 89.3 The Current for great music and a fresh look at indie info. Also...I am proud to have worked on the movie soundtrack "Prairie Home Companion" ~ the musicians are as amazing as the show is entertaining. Well worth a listen/look! Recording musicians provide the sounds and soul of motion pictures, television, sound recordings, commercial advertisements and much more. Power up your iPod, TV, Wii or XBox, walk into a movie theater or simply enter any public building, and you will be enveloped by the sounds created and performed by recording musicians. 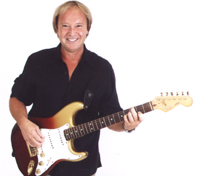 Music Instructor for Along Came Music providing in-home music lessons to all skill levels. "Along Came Music teachers are dedicated, specialized and bring their musical excellence to your home." My career as a touring performer, teacher and involvement in the music business spans over 30 years. Music and teaching are my passions. I have classroom and individual teaching experience that ranges from middle school through College and University levels. I specialize in all styles of guitar as well as bass. Other lesson options include music theory, song writing and music business. The liner notes on this refer to "Spoken lyrics by Lisa Verlo." This is a good hint to the direction of Verlo's art. With the musical assistance of Chris Millner, she explores the boundaries between lyrics and poetry. These pieces are more than poems but not quite songs. The result is a slick, professional sound and some very pleasant listening. Working with partners Jeff Mayor and Jim Watson, MusInc. has scored original music for Television, Basic Cable, Commercials, and Industrial Films. Partial client list includes: E! Entertainment, Mattel, ESPN, Disney Channel, State Farm Insurance, and others.